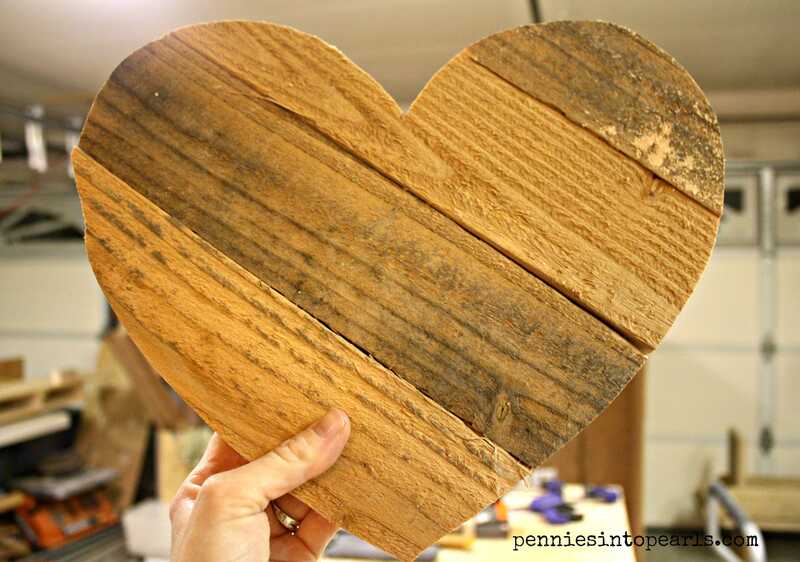 Repurpose that beautiful wood once used for transporting something really heavy into lovely Valentines décor! Do not be intimidated by the thought of using power tools ladies! Just be sure that you are being careful and safe an you can master this project! 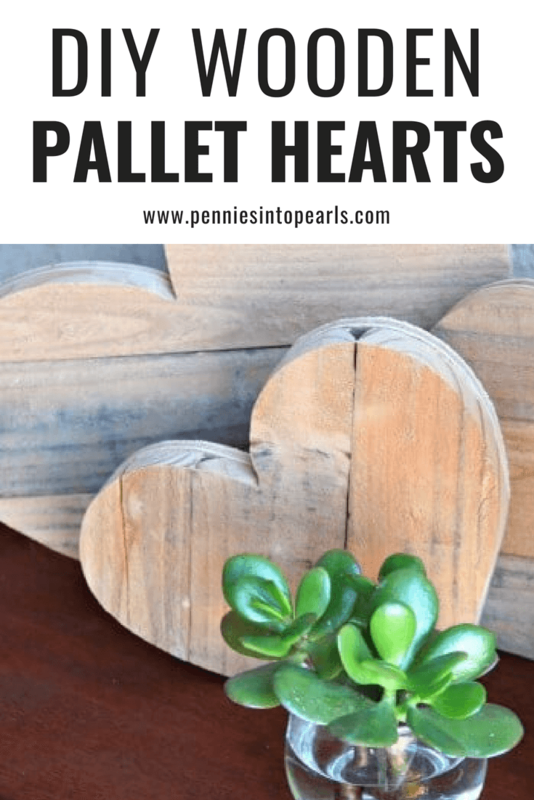 One of my favorite things about this pallet wood project is that I can’t get over how cute they turned out BUT ALSO that you can pull them together for FREE using scraps! Then you have everything you need to create a one of a kind piece for your home. In my house I am really starting to love the natural look of distressed wood. These hearts fit right in! Here is how the were made. Well, lets be honest, my brother and dad did all the work and I love them so much for always taking care of me! First you are going to need a stencil of what you would like your hearts to look like and what size you need. Hearts are a simple enough shape to free hand and if they don’t turn out perfect, I think that just adds to their charm. So trace out the exact shape and size onto a scrap piece of paper then cut it out. 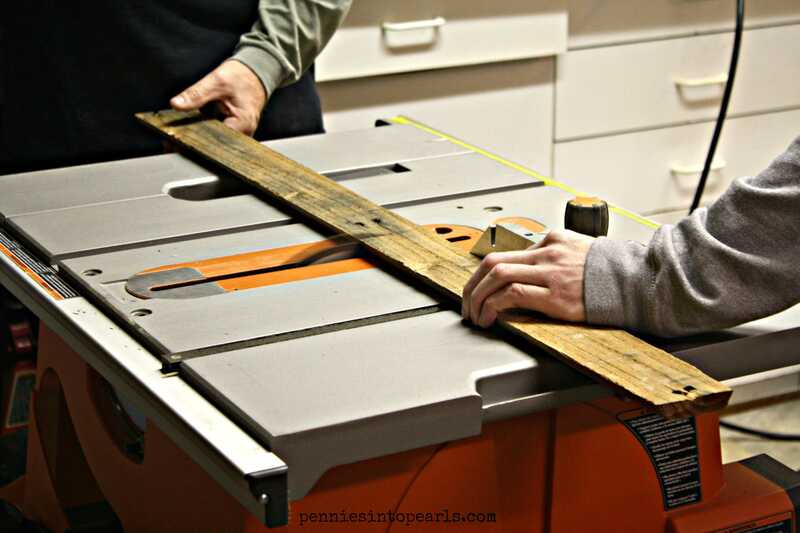 If you pieces of pallet wood are a lot long then you need for your stencil, cut them down to usable sizes. This will make them a lot easier to work with. Next, trace your stencil onto the baking. 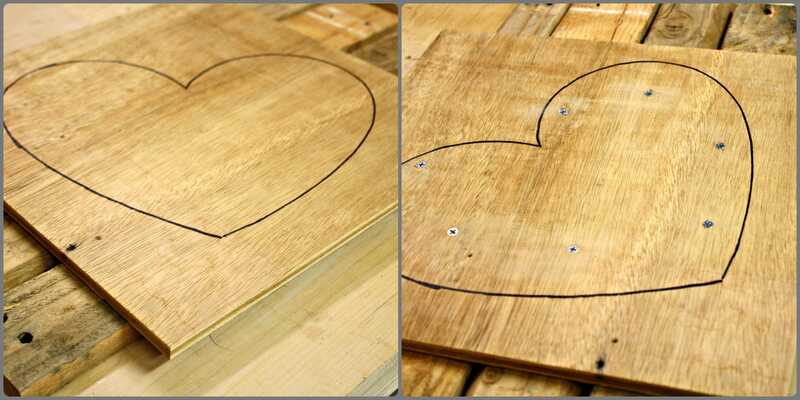 Layout the pallet wood in the order you want them to show on your heart, placing the “good side” down. Line the baking wood on top of your pallet wood and attach with screws. Make sure your screws aren’t too long or they will poke out on the front of your heart. Take your jig saw and cut out your heart. Then sand the edges and wa-la! 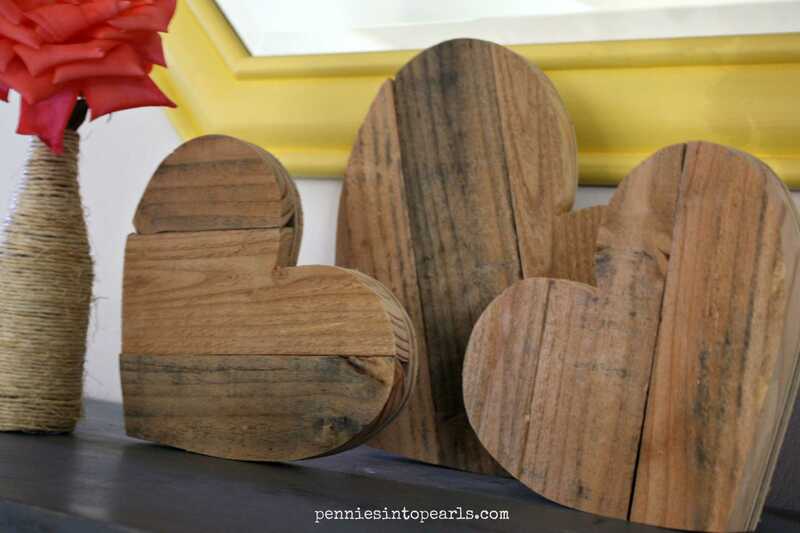 You are ready to display these beauties, adding some rustic love to your home! I love getting these out and using them in different places of our home each year for Valentines Day. Once the holiday is over I separate the group and use them all over the house. This really is the perfect DIY project for any beginner when it comes to wood working. It’s super easy, minimal tools needed, and you will be finished up in less than an hour. Yes, having a brother & a dad who are craftsmen really helps. My elderly friend has cut up pallets for years for his fireplace. He has 4 tool sheds in his back yard all of the nails are out wit h stacked wood. When it comes to the time when he passes on, I will give you a call.. (We are in charge of cleaning things up and selling the home) I am sure you can make something out of them. These hearts turned out really cute. Thank you Janet!Taking apart pallets is the hardest part for sure! Thanks Charlotte! I definitely will be there! Frugal should have been my middle name! Thanks Evelyne! 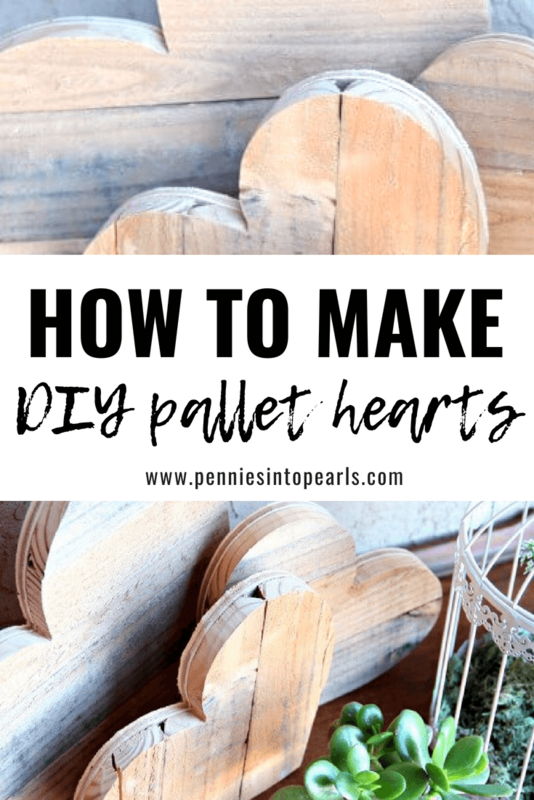 It’s a lot of work getting those pallets apart but it is worth the $0 price tag! I need to master power tools! These are so pretty! Love the rustic look of these hearts. Thanks for the great tutorial too! Would love if you shared this on the Spring Craft Blog Hop. Thanks Erlene! I just paid a visit and posted up a few links! Thanks for stopping by and connecting me with your link party! Thank you so much again for featuring me on your Facebook page! Such a huge honor! I saw so many views (like a ton!) from your help! This was my first time finding your blog and I already and following all of your social media to make sure I don’t miss one thing! I love your ideas! Thanks again! Stopping by from Skip The Housework Link Party. Love these rustic hearts. Now if I could only get over my fear of using a saw. Pinning! Haha! Or maybe just find a someone who can help you out like I did! I too need to muster up some courage and do more projects like this solo. Thanks for stopping by! Love these hearts, so creative! I love the color of the wood! Found this on the skip the housework link party! Thanks Cathy! 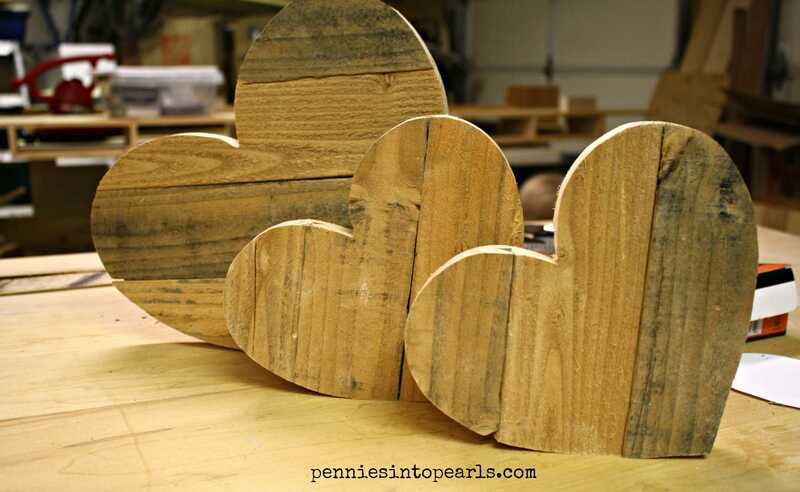 Pallet wood is such the perfect wood for so many different frugal crafts! I just took a visit to your blog and I really love it! 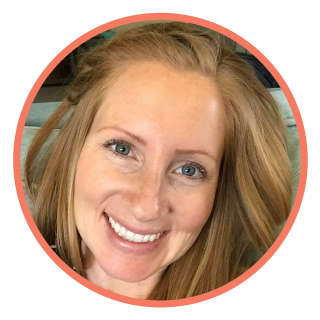 I’m super excited to start following along and being inspired by more of your super great ideas! Thanks for stopping by! So glad to have found you and your blog! Those are just beautiful, I’m pinning! Thank you Tania! They were a fun project! Those are absolutely adorable! I love them. Thank you so much for taking a look! They were a lot of fun to make and delicious to eat! Pallet wood is so fun and versatile to work and play with. My daughter built me an outdoor table with some old pallets we had lying around. 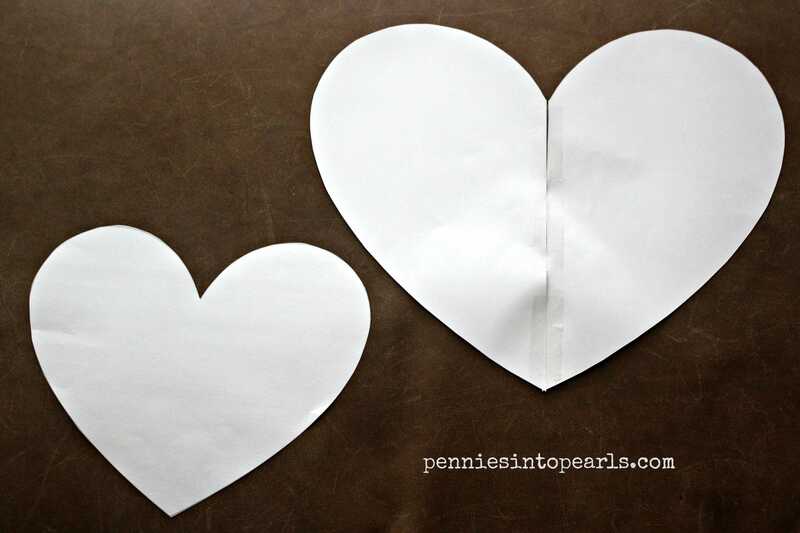 I do love the hearts you made, Such a fun, simple, lovely way to add neutral Valentine’s decor. Thanks Amy! I totally agree with you, the rustic wood is exactly the texture I wanted to add to my Valentines decor! Thanks for stopping by! I adore these and am pinning! Thank you so much for linking up at #MeetupMonday this week, where your Strawberry Chocolate Kabobs were already featured from last week! So digging following Pennies into Pearls and figuring out later today which to feature this week. Thanks again! Thank you so much Amanda! So excited to have found your blog! I am in need of some DIY chemical free living. Excited to follow along and learn more from you! Thanks for stopping by! I’m reading this and all I can think is “I wish my boyfriend would let me use a saw…” haha! Those are so cute!! I’d love to paint them and hang in my bedroom. 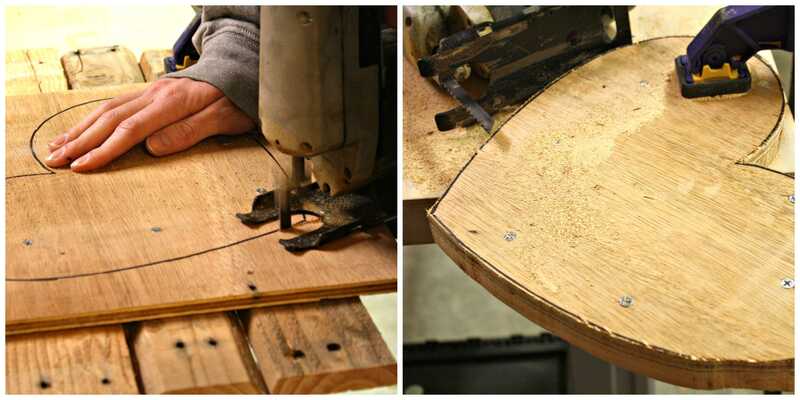 Well this is the neat way to make shapes from wood. But should use gloves for safety.